Because not all homes are the same, they require a different and customized approach when it comes to staging for optimal results. We work with you to transform each room for a faster, more profitable sale! Staging and Selling for Top Dollar Guide– Includes checklists, statistics and photo-filled information in regard to selling a home in the CITY market area. Area Transformation – We will quickly tackle a room or area of your home in order to provide a visual representation of the benefits of staging and a head-start on your marketing. Marketing Photos – You will receive the “after” photos of the transformation that was made to provide to your agent for your immediate marketing efforts. Proposal – A proposal will be provided outlining additional staging services and recommendations needed in order to accomplish a successful and speedy home sale. For maximum results and to compete in today’s buyer’s market, 1st Stage Home Design works alongside you, guiding you every step of the way through the preparation of your home to sell and the marketing of your product, so that you get top dollar for your home. 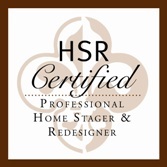 Perfect for the Do-It-Yourself client, this service provides the detailed and objective expertise in a 20+ page, written format that is easy to follow for great staging results! Our design services start with a consultation where we have you fill our Lifestyle Questionnaire and are able to assess your wishes, style and home. We connect you to a wealth of design photos for inspiration and encouragement. A detailed proposal will be given that will fit your budget, style, family and home.